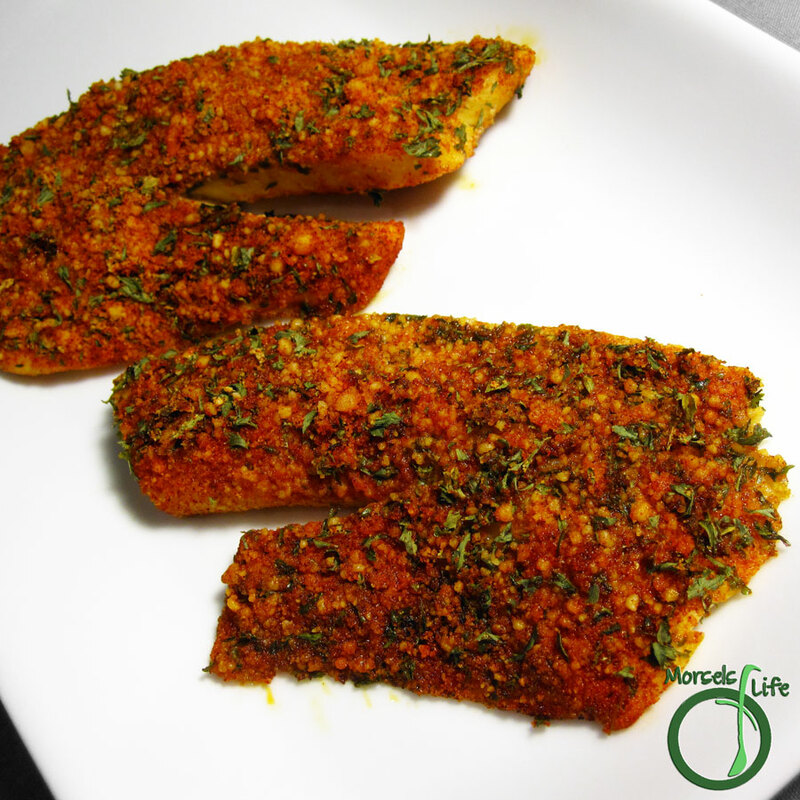 A quick and flavorful fish encrusted with grated Parmesan cheese, paprika, and parsley. It happened again - almost mealtime, but nothing's prepared. Since this time, it was a weekend, I thought I would make some fish. Fortunately, I had some tilapia, so I went ahead and used it. Looking around, I knew I wanted something quick and easy (just like usual :P). I saw some Parmesan cheese in the fridge when I got the tilapia, so I started thinking about the Flounder with Cheese Sauce, but Parmesan doesn't really melt the same way. Then, I thought maybe I could make a cheese crust, similar to covering with bread crumbs. I threw in some paprika and parsley for flavor and color, and since I wanted quick and easy, I just stopped there. A quick spray of oil with the Misto, cover with cheese mixture, then onto cooking. I cooked this fish on the stove, but baking is another good option. A few minutes later, it's onto the plate, and into our mouths! Quick, easy, and tasty - I can definitely see myself making this fish or something similar again. What's your favorite quick meal? Combine all materials except tilapia. Lightly spray tilapia with oil and then cover with cheese mixture. Cook until fish is opaque at the thickest part. I cooked it on the stove, but baking is another option. I made something similar last week, but with fresh parsley and less paprika. I also drizzled the fillets with a little olive oil before dipping them into the coating and baking. I think it was a Rachel Ray recipe I worked from. Nice, easy dinner!